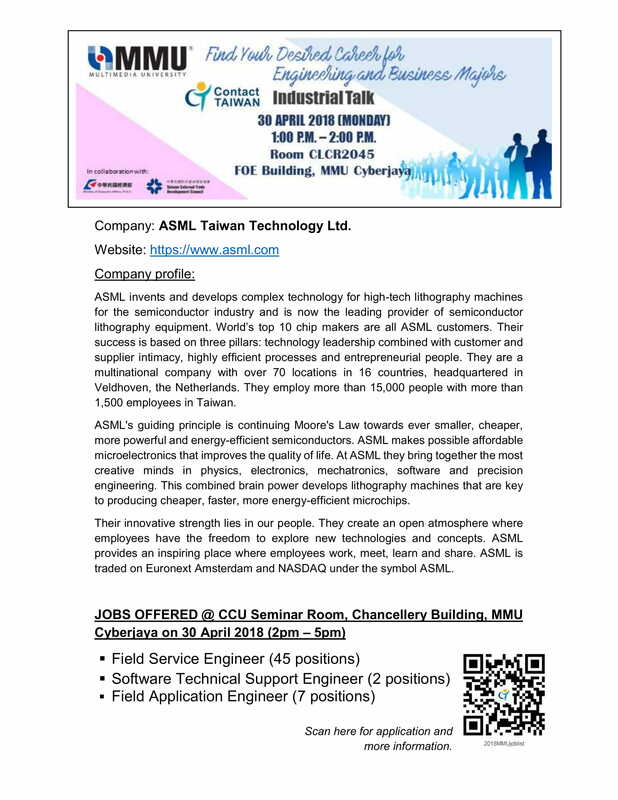 FOE is organizing an international conference on advance science, engineering and technology. Please browse to the conference website for details. All students, especially postgraduate and FYP students are strongly encouraged to submit their papers. Please discuss this with your project supervisor. The conference organizer cordially invites students, academics, practitioners, scholars and researchers to submit their papers to SCOReD 2018. Prospective authors are invited to submit full papers (IEEE Conference Format) up to 6 pages through online submission. Double blind reviews will be conducted by at least two independent reviewers. 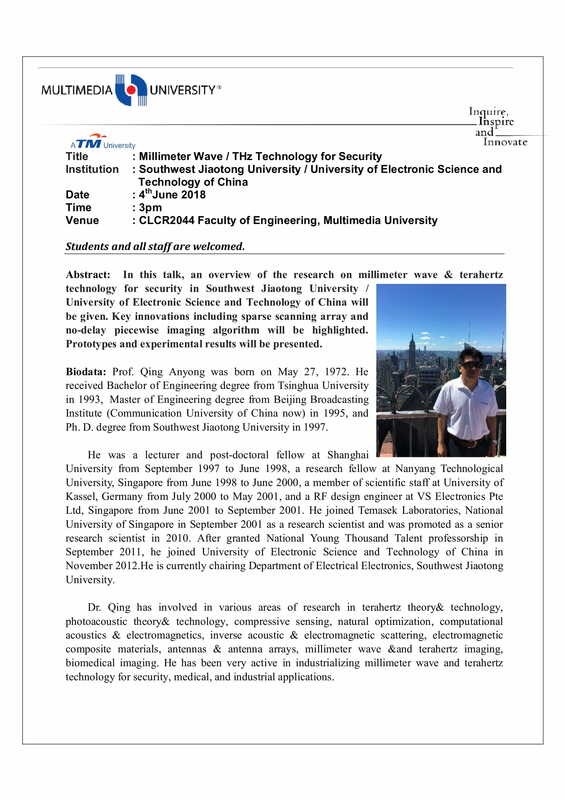 Accepted and presented papers will be considered for publication in IEEEXplorer (SCOPUS Indexed). 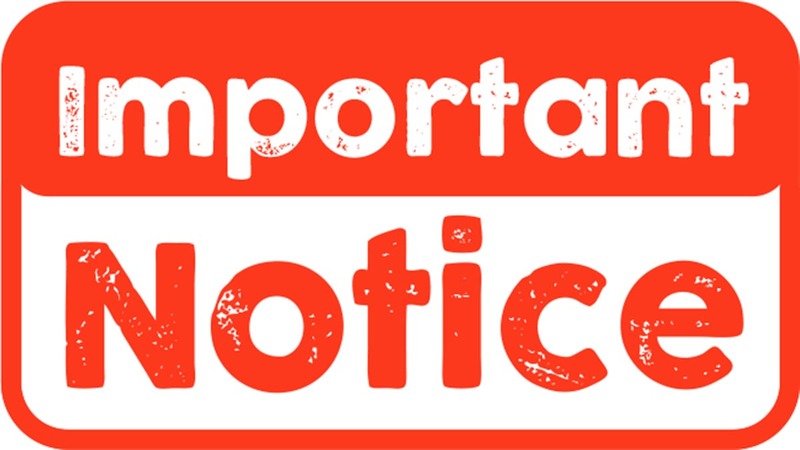 Effective from T1 2018/2019, there will be an Online Research Methodology Workshop instead of talk-based workshop. Please book your interview HERE now. 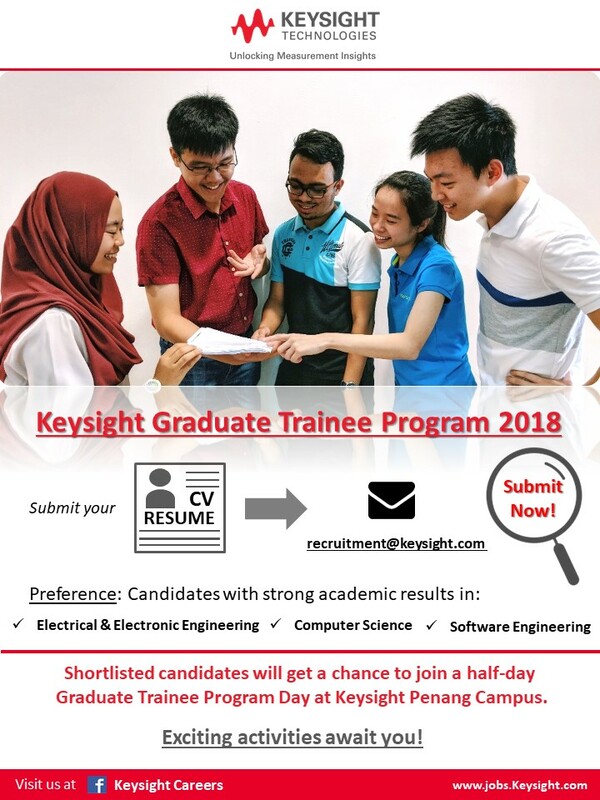 Keysight Technologies is organizing a Graduate Trainee Program (GTP) Day on 23 April 2018. Your are invited to participate. Venue: Multimedia Computing Lab (AR2007), FOE, MMU Cyberjaya.